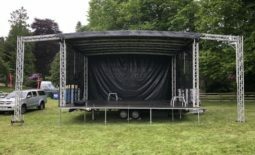 Platinum Discos provides top quality mobile discos in Ellon, Banchory, Fraserburgh, Buckie and Aberdeen. We love travelling up to the beautiful north east of Scotland with its fantastic scenery. Ashley the owner of Platinum Discos regularly does children’s parties in Aberdeenshire and recently has done birthday party discos in Ellon, Fraserburgh, Buckie and a corporate event for McDonald’s in The Sportsman’ Club in Aberdeen. Travelling up to Aberdeen and the north east of Scotland is comparatively easy since I moved to Dundee as it’s a short drive up the dual carriageway and your in Aberdeen. Platinum Discos offers a unique service with a really impressive disco. While all other mobile discos seem to be getting smaller our are getting bigger as we like to put on a real show! 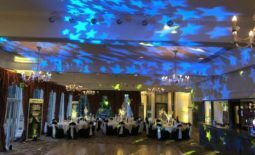 Lighting and great sound really add to the atmosphere of your party. 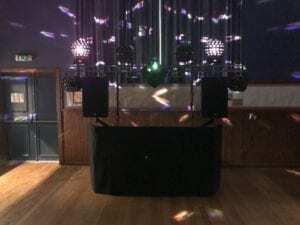 Hiring a Dj with a proper mobile disco with lots of lights and a great sound system isn’t as easy as you would think as many discos are very small these days. Platinum Discos dare to be different. We go the extra mile with preparation for your party or wedding too. Our playlist creator makes it easy for you to send us a playlist. Just click this link to make your playlist and the system will email you and us. 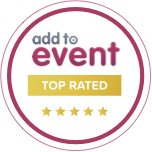 If your having a wedding reception you can also fill in our wedding checklist which asks for all the essential details that your dj will need on the night. Platinum Discos provides the absolute best in entertainment. We are fully insured and PAT tested (portable appliance test). We can supply risk assessments and method statements too. My Silver disco for Layla’s 5th birthday party. Ashley recently did an amazing children’s party in Buckie in the local community centre and a birthday party in Buckpool golf club. Buckpool Golf Club has a lovely big function room with easy access on the ground floor. Ashley remembers an amazing wedding that he did at The Station Hotel in Ellon for a lovely bride from Texas called Vanessa. The Station Hotel is a great venue for weddings and benefits from easy ground floor access. Ashley also did an amazing birthday party in Banchory at a private house where they had a beautiful marquee erected in the garden. Ashley installed his mobile disco and it looked amazing. It was another late night drive home to Dundee. 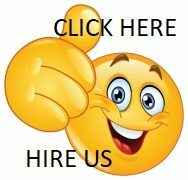 When your thinking about hiring a venue for your wedding or party do please think of your mobile Dj and access. Venues with a short distance from the van to the stage are our favourite. There are quite a few venues that Djs now blacklist due to access problems. I have several on my list. To hire Platinum Discos for your wedding or party please click here.